The Greater Scranton Chamber of Commerce is the hub of close to 2,000 member businesses, making them a powerhouse of information and events. Working alongside The Chamber team, Posture has the opportunity to design a variety of materials that provide a distinct look for each event while staying true to a consistent brand vision. From mixers to seminars, conferences to award shows, we’ve done it all. 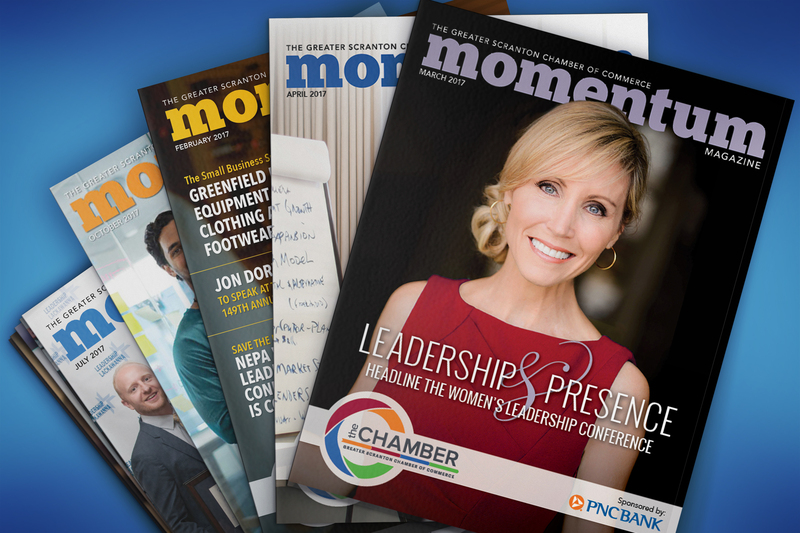 Additionally, we boast the good word of The Chamber through the production of their monthly magazine, Momentum.